A piece of my mind. 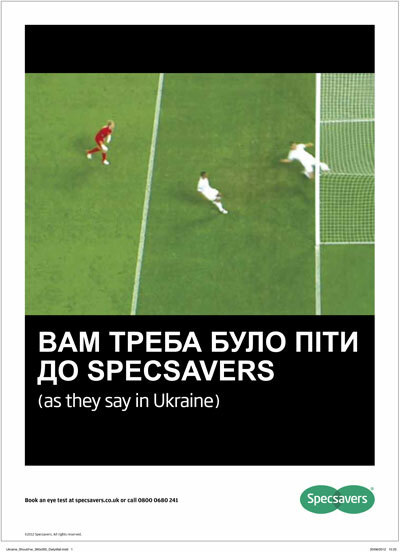 : "Should've gone to Specsavers"
Specsavers creative team reactions were even quicker than John Terry's with this ad, they managed to get the ad over the line in time to hit the newsstands the day after the game (21 June). 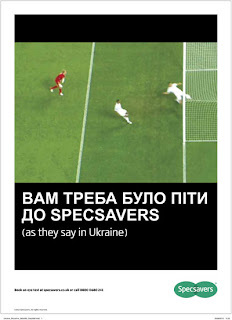 The one-off press ad running in national titles, including the Daily Star, the Daily Express, The Independent, The Guardian, Daily Mirror, The Times, the Daily Mail and The Daily Telegraph.